RamAir Air Duct Cleaning Machine-Hard at work!! Our Platinum Package contains everything you need to get the job done right, and look professional while doing it! 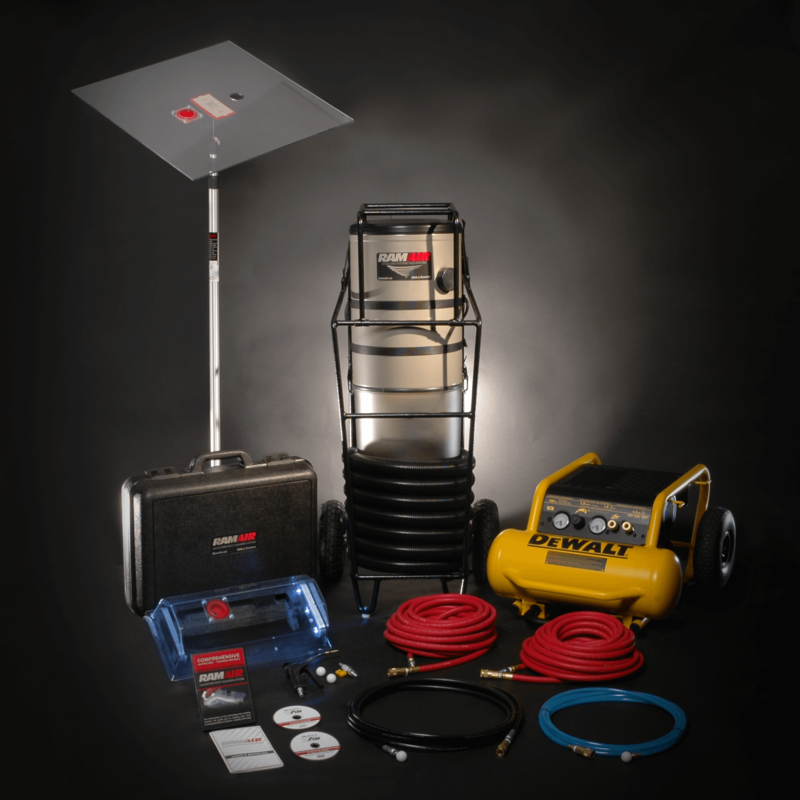 From the standard essentials to the Cyclonic PowerVac and Air Compressor, you will be unsurpassed in your ability to clean ducts in your area. Combined with its very affordable price, we also offer financing on all of our packages, so order yours today and get on your way to making hundreds of dollars per hour in an industry that’s rapidly growing and in high demand!